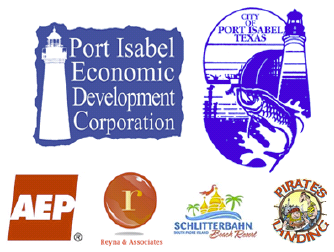 From shrimp cockails to flan to gorditas to chalupas to tamales, tortas and tacos, you can join a few thousand friends and neighbors and immerse yourself in the culinary, musical and family culture that is Port Isabel! 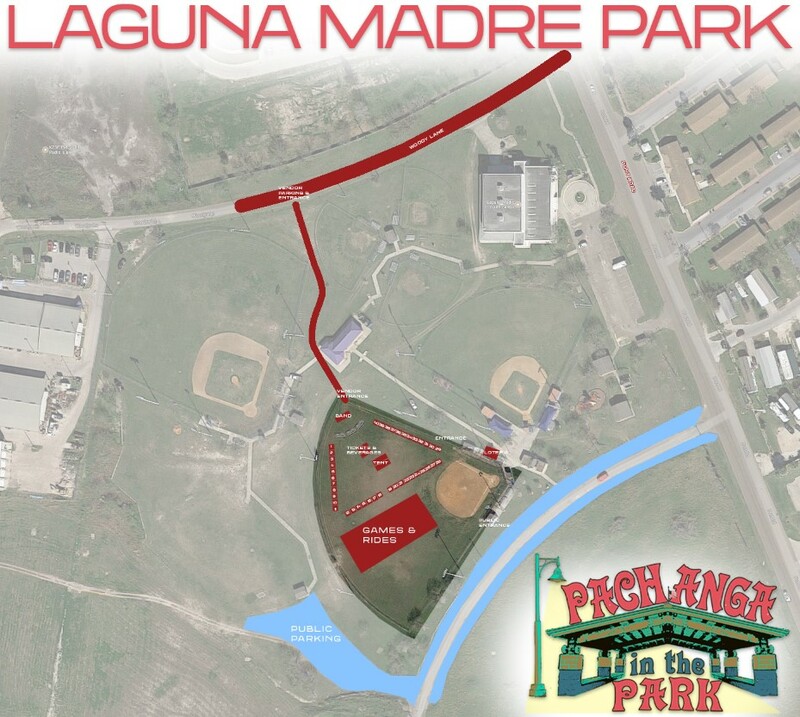 Now in its fourth year, the Pachanga in the Park was originally conceived by the Mayor and City Commission as a way to celebrate the Port Isabel park system. It does that and more. The idea of a park in that area of Port Isabel is visible as early as 1875 when the area was designated “Public Square” on a map filed with Cameron County. The park has been important to the community for well over a century. Washington Park (156 W. Madison St.) is in the heart of a residential section of Port Isabel and though located some three blocks south of Highway it would seem that Pachanga in the Park is one part location and two parts food and fun. Food for foodies and if you’re just plain hungry. Vendor coordinator, Jeannie Flores (Port Isabel Museum Director), is tasked with culling out the duplicate food offerings. Got tamales? What makes them different? What type of banana leaf are they served in? Each food vendor is challenged to serve a distinctive dish. 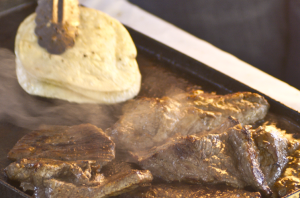 A quick survey reflects that many of the recipes made their way to Port Isabel and the Laguna Madre area generations ago and the most prominent state represented is Durango. And of course, festival favorites like spiral potatoes and kettle corn and funnel cakes are right at home at the Pachanga in the Park. There will also be rides for the kiddies. 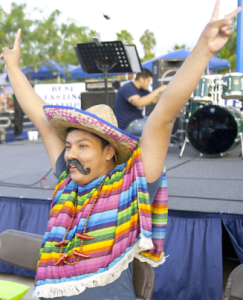 Contests include food vendors competing for the best chalupa and booth decorations and then there are the contests for the attendees including a Mexican costume contest, a grito contest, jalapeno contest and dance contest. Music for the soul that moves the feet. 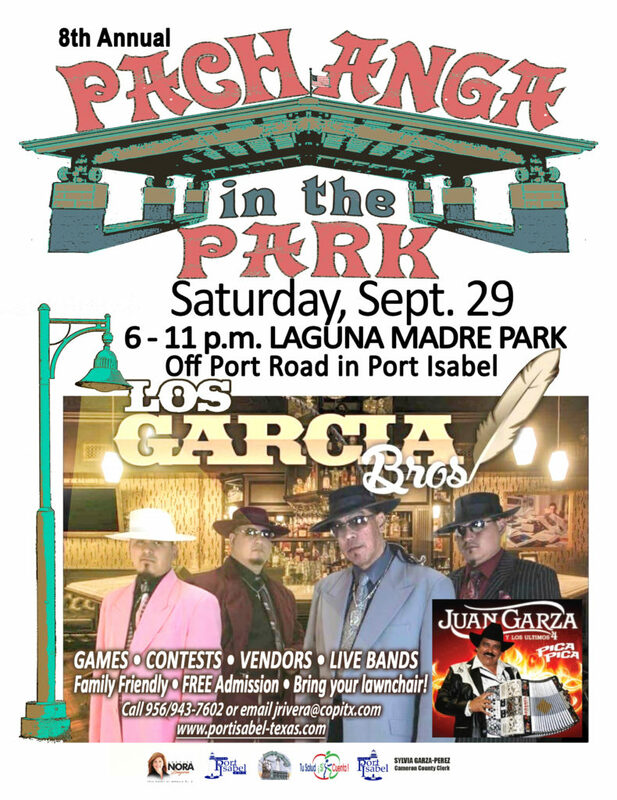 Pachanga means party and Port Isabel’s Pachanga in the Park is all about a culinary and cultural and musical celebration. It is an expression of the heart of Port Isabel and the Laguna Madre area in the tradition of friends, family, food and fun. In true ‘pachanga’ form, booth set up begins late in the afternoon with festivities kicking off at 5 p.m.
Our park is your park! Our pachanga is your pachanga! Awards to be presented after each contest. Schedule is subject to change.